HamIAm.com. When we were an agrarian society, every farm or homestead had its own smokehouse to smoke the family’s food. In the days before refrigeration, smoked food was a key way to preserve meat and fish. Over Lent, when no pork was consumed, hams were left to cure. 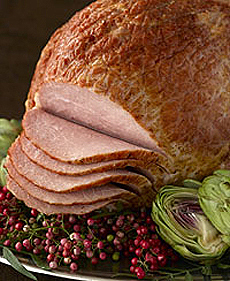 The hams were ready by Easter, and ham became a popular Easter tradition. Today, many households look forward to their “Easter ham,” but the decision is more complex: There is quite an array of different ham types and styles. You’d want a bone-in ham over a boneless ham, or vice versa. If a spiral cut ham is your best bet. If you should consider a fresh ham versus a cured ham. If you’d prefer a city ham or a country ham. Even if you’ve already purchased your Easter ham, there’s lots to learn for your next ham. Read our article on ham types and you won’t be hamstrung.